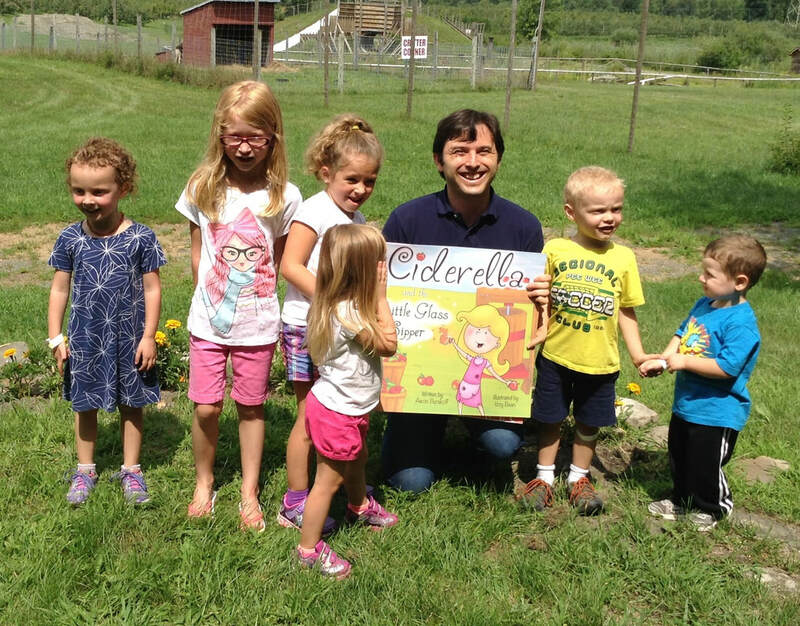 Story Trail Signage for on-farm education and fun! 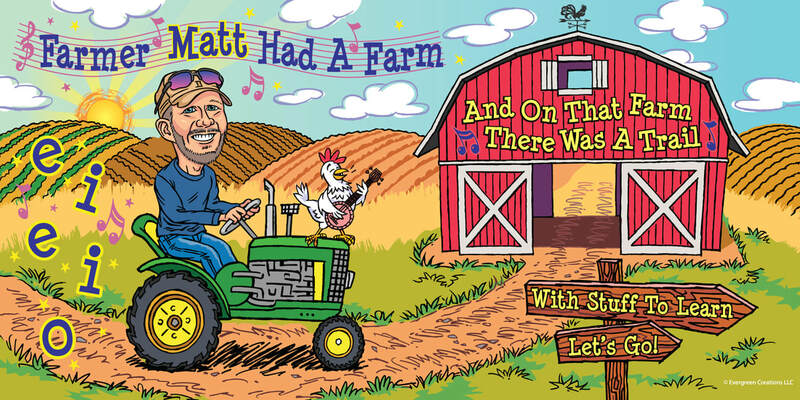 "Farmer [YOUR NAME] Had A Farm" - a personalized version of "Old MacDonald"
How can Story Trail Signage help grow my business? 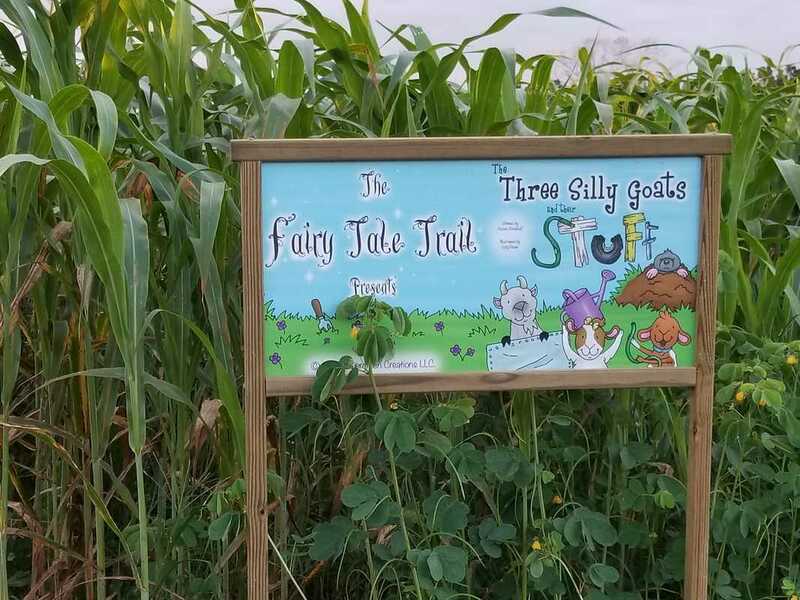 Story Trail Signage provides a low-cost, easy-to-implement attraction for your field trip and family visitors. You can simply mount the signs along a path on your farm and invite visitors on self-guided walks along the trails. Giant Books for story time at the farm and retail merchandise items including books -- and, new for 2018, plush toys!